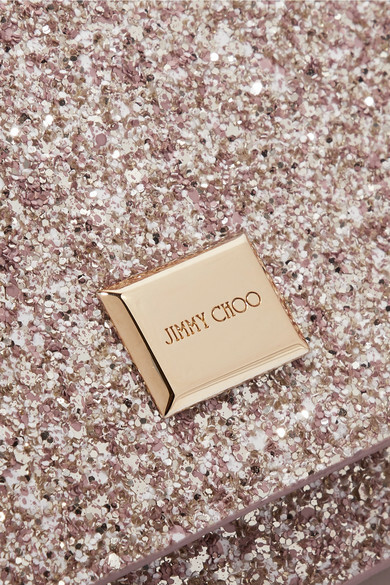 Inspired by the decadent Surrealist Ball attended by 1970s French high society, Jimmy Choo's Resort '19 collection is filled with glamorous pieces to wear to your next party. 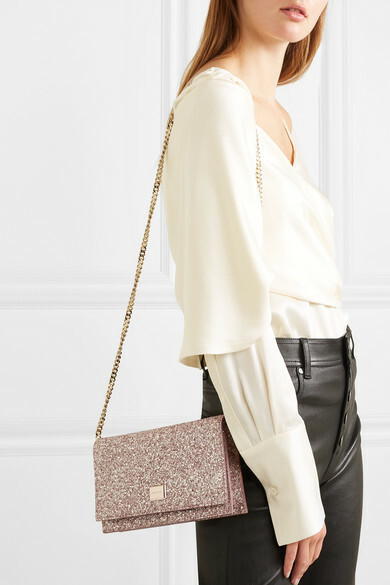 This 'Lizzie' clutch is made from leather encrusted in glitter to complement the tones of its gold hardware and beige suede lining. 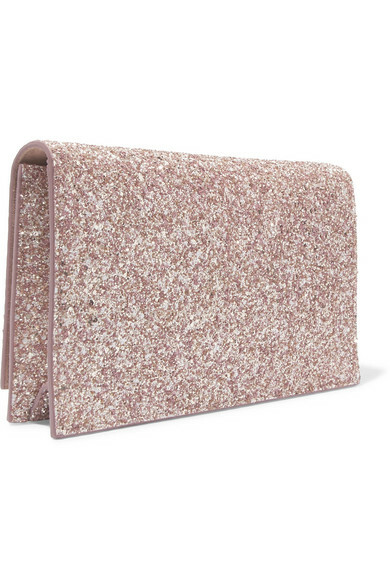 It opens to a roomy interior that's fitted with card slots and a zipped pocket. Shown here with: Joseph Pants, Monse Top, Christian Louboutin Pumps.